All three dimensions in the MCPE are challenges for the player, like fights with bosses. You can get valuable blocks and items there if you make an effort and correctly prepare for the journey. But what do you say if you find yourself in the most expensive dimension in the game? This place is collected from a diamond block by block, wherever you go you will always see diamond blocks and a light turquoise color. So many jewels you have not seen yet if all this time you only played survival. In the new dimension, you can meet local residents - golems who are very friendly if you do not show aggression. 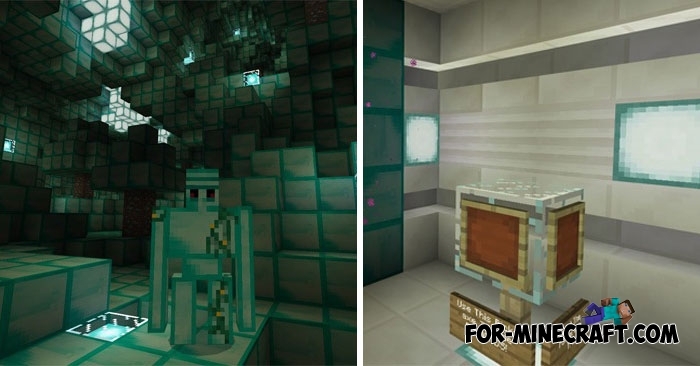 Golems are also made of diamonds (by the way, there is the Golem World PE mod that brings many kinds of new golems to Minecraft PE), but do not touch them. The dimension is only available via teleport, otherwise you will not be able to get there. It is in a flat world and is not a separate dimension, this is just a map. You are free to do whatever you want, build diamond houses and talk with silent golems. 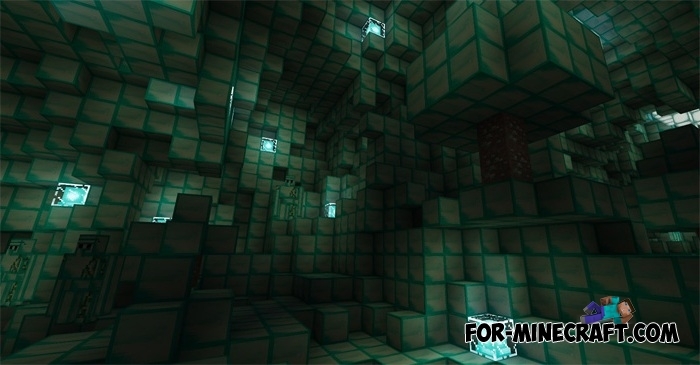 Dimension mod for Minecraft PE 0.14.0Dimension mod adds 7 new dimensions and new bosses in Minecraft Pocket Edition 0.14.0. Golem World PE mod v7 for MCPE 0.17.0 / 1.0.0Golem World PE mod adds more new types of golems that look like normal but they have different texture and features..